Our Ukraine singles tours include visiting all the best places, while meeting beautiful women. What are you waiting for? Register now for FREE. Located in the eastern portion of Europe, the Ukraine is the continent’s largest country, which takes up about 603,628 square kilometers. The country’s vast land stretches from Russia, all the way to Poland in the west, and is bordered by the Black Sea in the south, with Belarus in the north. With a population of approximately 42 million, tourists can expect to meet a lot of interesting personalities during their visit. 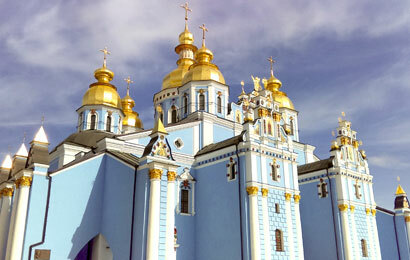 Its busiest city is Kiev, which is also the capital and the largest city within the country. When you travel to Ukraine, the trip would simply be incomplete until you’ve at least set foot in the 7th most populous city within Europe. However, it is also largely known for holding a vast amount of significance with regard to its industrial, cultural, educational, and scientific contributions to Eastern Europe. Apart from the country’s modern cities however, there is a lot more to it than meets the eye. 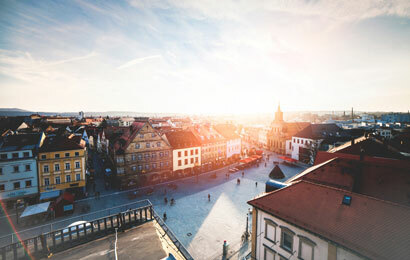 As a matter of fact, the country is also home to seven of the 1,092 World Heritage Sites, which includes the breathtaking beech forests in the Carpathian mountains and the Saint Sophia Cathedral in its capital city, which was built in the 11th century. When you travel to Ukraine, there will be no problem with regard to your mode of transportation, since it contains an excellent transportation system. This includes traveling by bus, through its subways and railways, and across its all-weather roads to various interesting places. Despite the numerous amazing places to see within the country, tourists will be relieved to know that its crime rates are near nonexistent and its climate is generally favorable all year round. This makes it one of the most ideal locations to take your vacation at, and is also popular for its Ukraine singles tours. If you’re planning on traveling the world soon, Ukraine should definitely be part of your itinerary. Tour clients are offered a stay at one of the most scenic locations in the world. Ukraine can be found sandwiched between other countries and bodies of water. This includes Russia at its east side, Poland, Hungary, and Slovakia at its west, with the Black Sea and Sea of Azov at its south. As a result of this, when you travel to Ukraine, you will pass by other nations as well, which makes for a most interesting trip. As such, the country is also called by some as the heart of Europe, due to its geographical location. The locals are appropriately referred to as Ukrainians, and with its fairly large population, be prepared to meet and interact with beautiful and interesting Ukraine women and men during your stay. In fact, its total population makes it the 32nd most congested country in the world. Due to this, the country is a hodgepodge of East Slavic and Russian culture, so if you plan to date Ukrainian women, some knowledge on their dating etiquette will help. How to Get to Ukraine? Planning on traveling to the country soon? The great news is that there exists several ways for one to set foot in the country and plenty of which, offer scenic and breathtaking views while on the way to your destination. If you intend on planning your trip without contacting an agency to have your travel arrangements set up for you, here is a condensed guideline you can use to make the experience as hassle-free as possible. Located at the southeast portion of the country’s capital city, the Boryspil International Airport contain three terminals and is capable of hosting international flights from all over the world. Tourists that arrive coming from the United States or Asia will usually have to enter through terminals D or F.
Upon arrival, one can immediately get to the city central area either by skybus or riding a cab. The great thing about doing so is the fact that cab stands are outside for your convenience, and the drivers speak fluent English as well. If you booked your trip through a company however, they can make your transportation arrangements for you. Odessa International Airport is located in the third largest city of Ukraine and is about seven kilometers from the city’s center. The structure holds a lot of history and has been around since the early sixties, which is why it is sometimes used by the Ukrainian Air Force. With its new terminal built fairly recently in 2017, it now has the capacity to host about a thousand passengers per hour, serving both international and domestic flights. Much like the previous option, you can easily get a cab or take the skybus upon your arrival. However, the most advisable route is to book your trip through a company instead, as it ensures a hassle-free experience on your end. 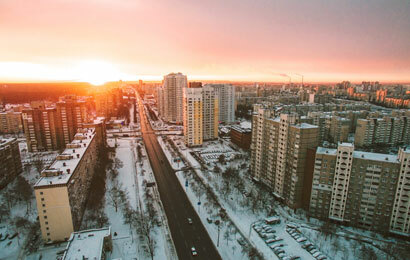 When you travel to Ukraine however, one should keep in mind that the rates will vary depending on the season as well. Traveling by riding on a train is one of the easiest ways to get from one place to another, and offers a great view along the way as well. The great thing about taking a train is that it’s cheap and comfortable, with train connections all over the largest cities such as Kiev, Lviv, and Odessa. Before choosing to travel through train however, keep in mind that there are different types of trains. This includes intercity, regional, night, and suburban trains. Furthermore, if you’re not fluent in speaking Russian or Ukrainian, you might face some difficulty when trying to purchase said tickets. To avoid any problems due to miscommunication, it’s best to purchase your tickets ahead of time through their official website. This can be paid for using your credit card and the details will be sent to the email address you provided. Meet and date beautiful single Ukraine women who are searching for men like you by joining our singles tour! Much like traveling to other countries, it is important to be aware of their culture and tradition to avoid offending locals or showing disrespect towards their country. This includes knowing what the appropriate attire is for both genders, and what is deemed inappropriate behavior. For instance, female tourists are expected to follow the rules of wearing skirts and covering their heads with a hat, especially before entering religious establishments like churches. Fortunately, there are numerous tourist destinations within the country wherein one can enlist an English-speaking guide, which is great for international tourists. These professional guides can take you to the best places and can offer suggestions on where to have your next meal, or which hotel to stay at. This makes it an excellent place to bring your significant other, or even meet Ukraine women for a romantic rendezvous. If you intend on going by yourself however, there won’t be a day spent alone since most locals are friendly and very accommodating people. Ukraine women and men are known to be very hospitable and considerate of their guests. They speak moderate to fluent English and will normally try to help you out in any way that they can. However, the language barrier might prove to be an issue, so it’s best to learn at least a few Ukrainian phrases or learn some conversational Ukrainian too. All in all, the country is an excellent place to stay for a vacation, a solo backpacking trip, or even to meet your soulmate. For a most unforgettable experience, consider booking Ukraine singles tours instead. Not only is registering free of charge, it ensures a hassle-free travel with numerous other benefits that go along with it.